Two new AI-powered services can provide your IT department with greater efficiency. Cisco has just announced a new set of services that aims to predict potential troubles in a company’s IT department. Powered by artificial intelligence, the Business Critical Services and High-value Services offerings will anticipate IT failures, mitigate risks, reduce maintenance costs and assist organisations in keeping necessary skills to keep digital transformation going. 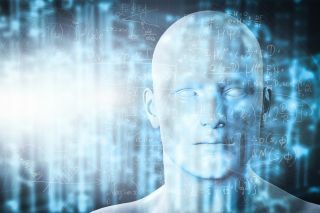 Business Critical Services ‘goes beyond basic optimisation to deliver more capabilities’, Cisco says, adding that analytics, automation, compliance and security by Cisco Advanced Services’ tech experts are among those capabilities. This will enable a more secure, more efficient and agile technology environment. With Business Critical Services, human errors should be minimised. On the other hand, High-value Services are next-gen technical services, helping organisations better utilise advanced software, solutions and the network. “This portfolio builds on our industry leading product support services with offerings that use analytics, onboarding, expertise, and scale to deliver more proactive and prescriptive services, enabling our customers to realize higher value, faster, from their IT investments,” Cisco said in the press release. “Today’s world is moving faster than ever, and to be successful, businesses must have the right blend of IT talent and services,” said Chuck Robbins, chief executive officer, Cisco.